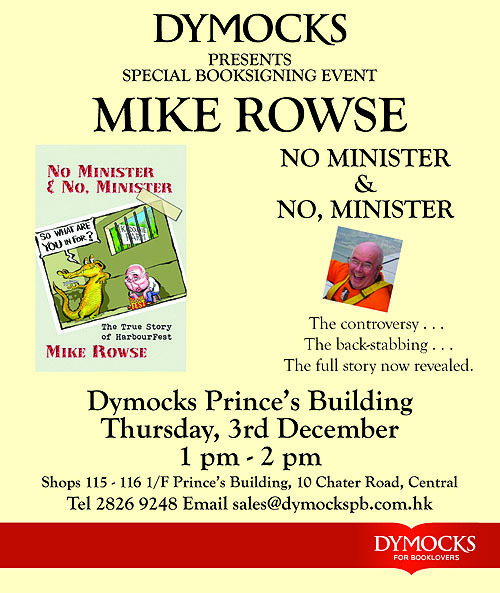 If you were unable to attend the FCC launch of Mike Rowse’s tell-all book No Minister, have no fear — the former civil servant will be signing copies at two Hong Kong bookstores in early December. 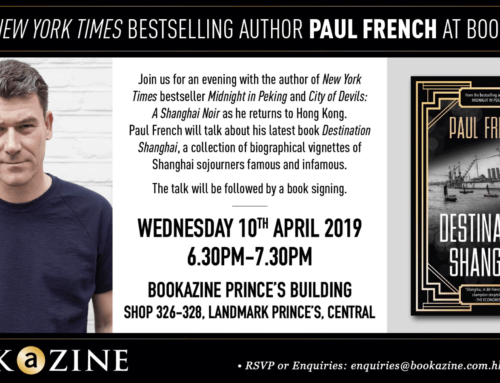 Mike will first be at Dymocks in Prince’s Building, Central, at 1:00 pm on Thursday 3rd; and he follows this up with an appearance at Kelly & Walsh in Pacific Place at 5:30 pm on Wednesday the 9th. Drop by to meet Mike and hear “the true story of HarbourFest”!